ALL rooms rate are including American Breakfast. Managed by the Cambodia people . BOU SAVY Guest House setting a new standart that running by business family. Beautifully appointed rooms and famous Khmer services. Nestled in amongst the houses of the commune and surrounded by tropical greenery, Bou Savy opened its doors in October 2004. A good place to get a feel for the real Cambodian village life with traditional Khmer hospitality. The building is new, and the 16 rooms are tastefully decorated with traditional Khmer designs and well appointed with amenities for comfort and convenience. As appreciation to those who choose to travel the region by bicycle, Bou Savy offer a 20% discount on food and beverage to anyone that arrive by bicycle. Many tourists are impressed by what Cambodia has to offer and would like to leave a little something behind. When you are finished with the temples, Bou Savy is happy to introduce you to several charitable organizations which can give you guided tours and more info about what they are doing in Siem Reap and the surrounding areas. Our family (Mother and 3 sons) owns and runs Bou Savy Guesthouse. Our Guesthouse is new and we welcome all kinds of guests. We offer the best services and food we can to all our guests. We will try our hardest to satisfy whatever request you have because we want you to always have fond memories of Bou Savy, Siem Reap and Cambodia. 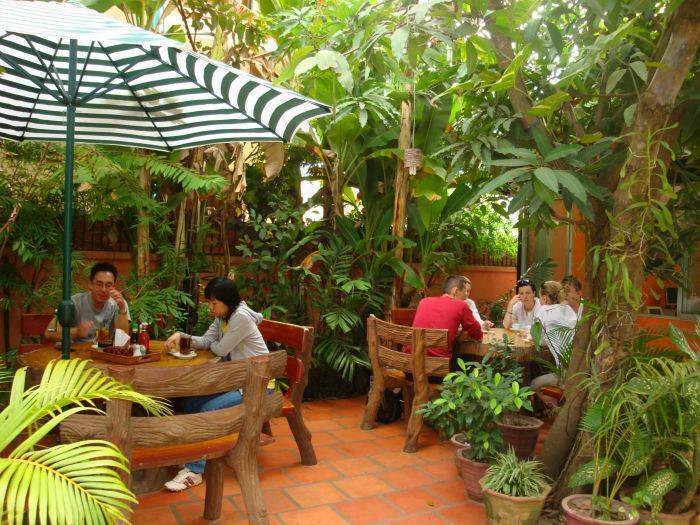 Sustainability Commitment: Bou Savy Guesthouse encourages its guests to se more of SIem Reap than just the temples. A lot of information is available and guided tours to several charitable organizations can be arranged for guests that want to experience more. 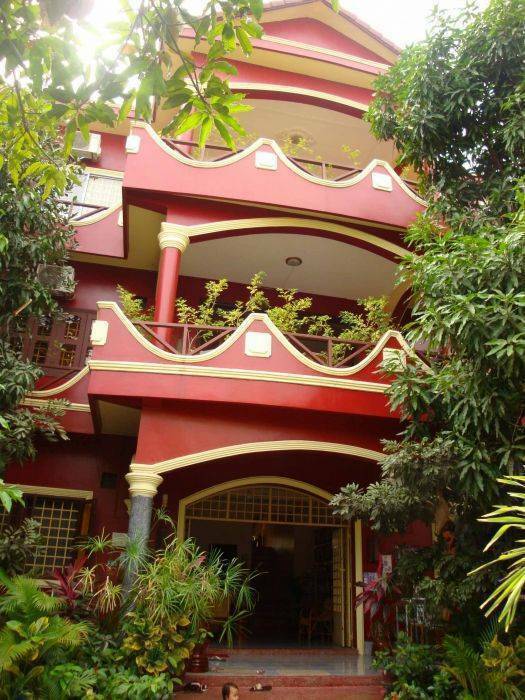 BOU SAVY Guest House is located on the National Road N#6, 60metters off the main road. That is away from noise and dust. The building is surrounding by tropical planting tree . The payment can do upon check out. *One day before arrival date %50 charge on the first night. Bou Savy Guest House is just 10 drive from Siem Reap International Airport, 5 minute from Bus station, and 20 from ferry. From Bou Savy to World heritage of Angkor wat it will take around 15 minute. Easy access to Internet cofé, Restaurant & Bar. 10 minutes by walk to Big New Central Market and Old Market. 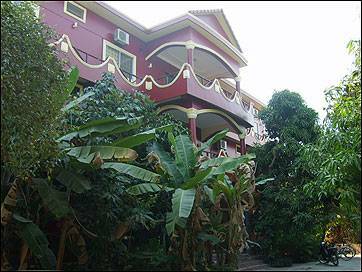 Bou Savy Guest House is located on National Road Nº. 6, just 60 matters off the main road. a way from noisy and dusty, comfort to relax with tropical garden.